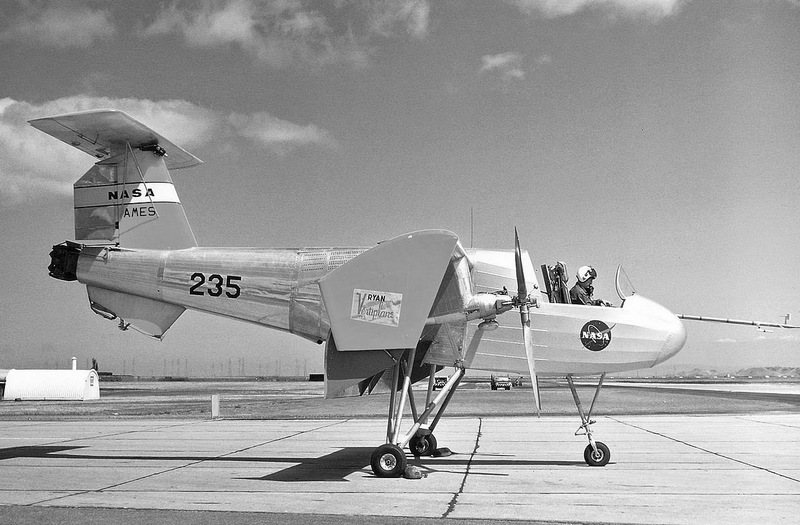 The Vertiplane, built for the US Army under the technical direction of the Office of Naval Research, was a simply-constructed single-seat V/STOL research monoplane of fairly conventional high-wing configuration but with very extensive double retractable wing flaps which extended far below and to the rear of the wing trailing-edge. The Vertiplane was powered by a single 1,000 shp Lycoming T53-L-1 shaft-turbine engine which drove two wing-mounted Hartzell three-blade wooden airscrews of large diameter. Large end-plates at the wing-tips provided structural support for the flaps and confined the slipstream to the flap span for maximum efficiency. Conventional stick and rudder pedal controls were fitted in the cockpit to operate the rudder, elevator, variable-incidence tail-plane and the spoilers which were inset in the upper surface of each wing ahead of the flaps and which took the place of the usual ailerons. A universally-jointed jet-deflection nozzle at the rear of the tailpipe from the engine was intended to ensure adequate control during hovering flight. As originally completed by Ryan in October 1957, the Vertiplane had a tail wheel undercarriage and a hood over the pilot's cockpit (shown above). 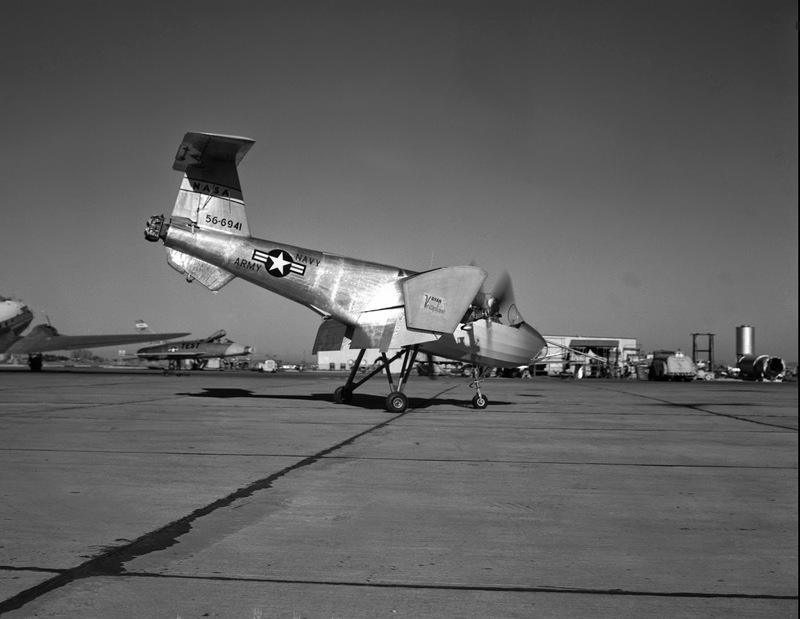 Problems with the gearbox prevented taxiing trials from starting until February 7, 1958, with a protection roll-bar frame over the forward fuselage. 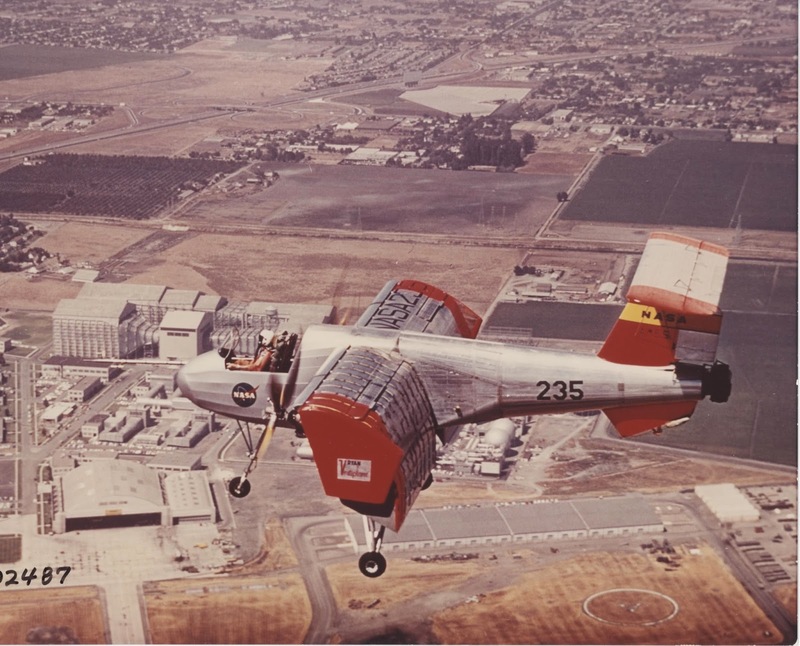 Prolonged ground testing followed, including three months of tests in the full-scale low-speed wind tunnel in the NASA Ames Laboratory at Moffett Field. Modifications made to the aircraft prior to the first flight, were the addition of a nose-wheel, fitting of a deep ventral fin, new gearboxes, new retractable wing flaps, and an open cockpit with a Martin-Baker Mk. YRN4 ejection seat. It made its first take-off as a conventional aircraft on December 29, 1958. 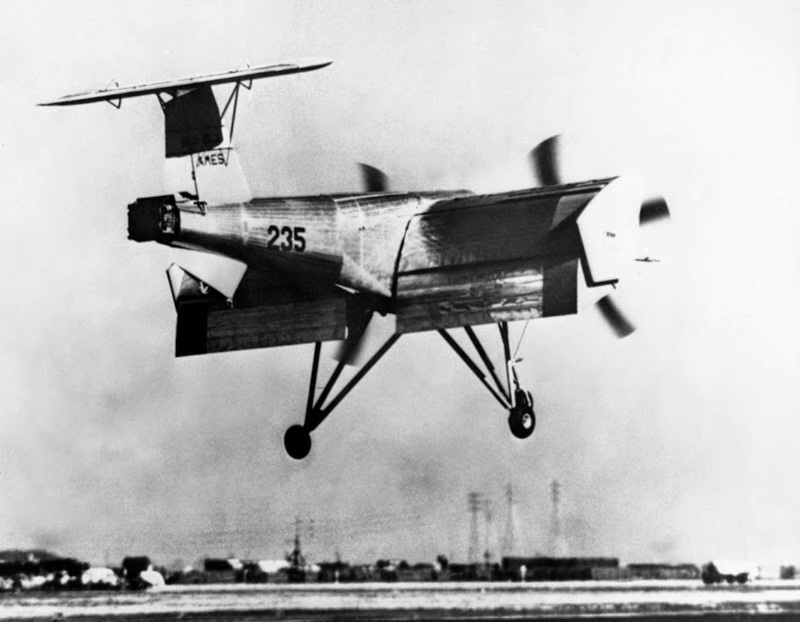 In a subsequent six-weeks' test program, it proved its ability to make near-vertical take-offs at a ground speed of 25 mph (40 kmh) after a run of only 30 ft (9 m) and to land at 19.5 mph (31.5 kmh). It hovered at zero air speed at both low (100 ft, 30 m) and high (3,700 ft, 1,125 m) altitudes and accomplished transitions from hovering to forward flight. In one flight it operated for 17 min at speeds below 25 mph (40 kmh) and at a height of less than 100 ft (30 m). After making 21 successful flights and being delivered to NASA, the Vertiplane was virtually destroyed in an accident at Moffett Field, California, USA in January 1960 when it pitched up 180 degrees and dived 5,000 ft (1,524 m) to the ground in an inverted attitude, the NASA test pilot ejected at 1,000 ft (305 m) and suffered a sprained back. NASA decided to rebuild the aircraft in modified form for further testing. Changes included lengthened forward fuselage, fitting of centre supports for the lower flaps, relocation of thrust line, a shallower ventral fin and a redesigned cockpit. In this form the Vertiplane underwent an extensive flight test program till late 1962. It was donated to the Museum of Army Aviation, Fort Rucker, Alabama, in 1963.